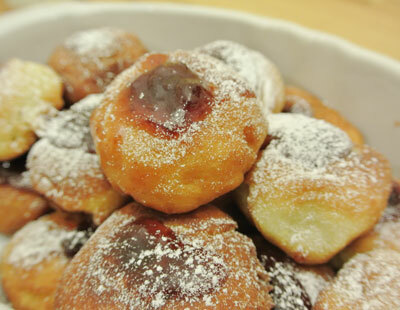 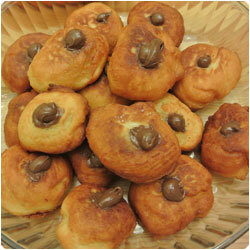 A sufganiyah is deep-fried ball-shaped doughnut, filled with jam or chocolate cream as nutella and topped with powdered sugar. 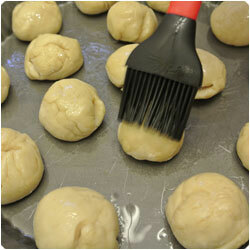 This sweet is usually eaten during the Jewish Hanukkah holiday, but they are perfect for every party. 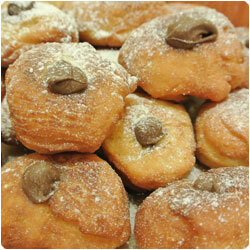 In europe you can find similar sweets called Krapfen, usually bigger than the sufganiyah and filled with pastry cream. 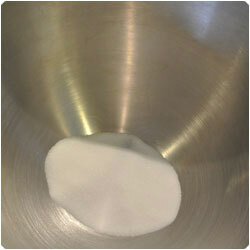 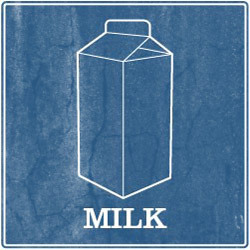 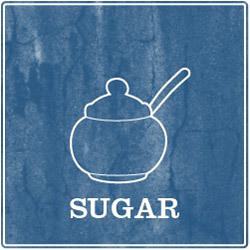 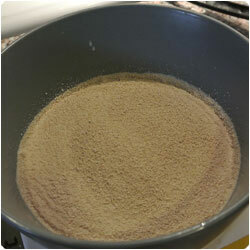 Warm up in the microwave the 100g of milk, add 1 teaspoon of sugar and 33g of dry yeast. 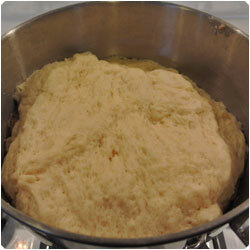 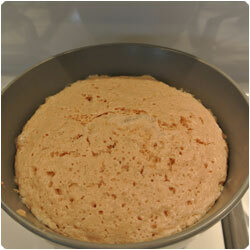 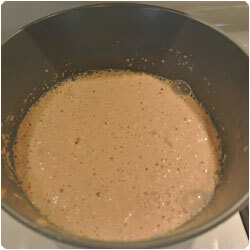 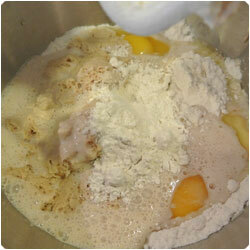 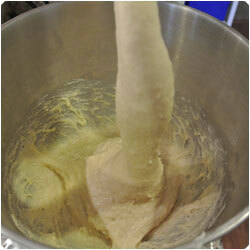 Mix until the yeast is melted and set aside for about 10 min to let the yeast rise. 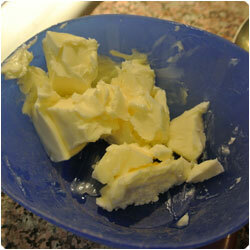 Cut the butter and let it waming up at room temperature. 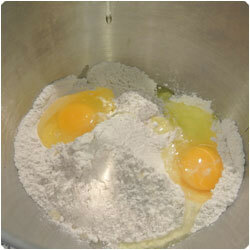 Grate the zest of half a lemon. 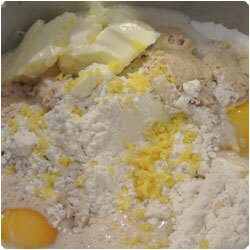 the lemon zest and 100ml of milk. 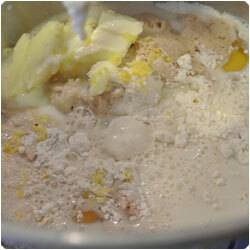 Start to mix! 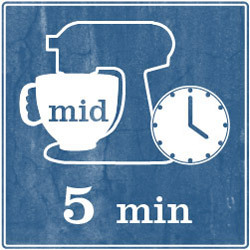 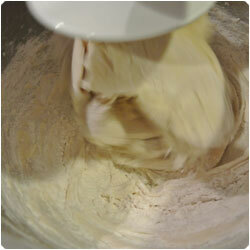 Knead 5 minutes. 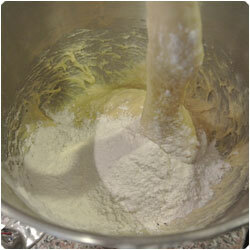 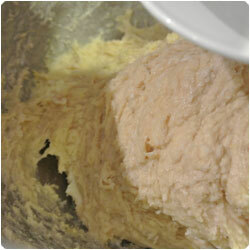 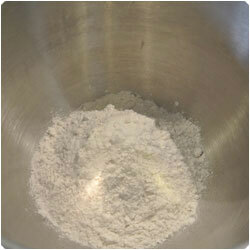 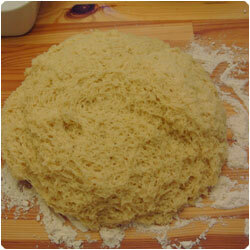 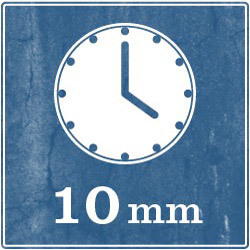 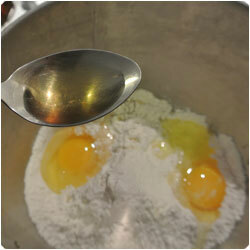 Add the remaining flour 100g per time, until the dough is smooth and shiny. 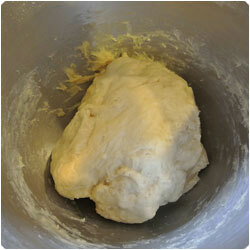 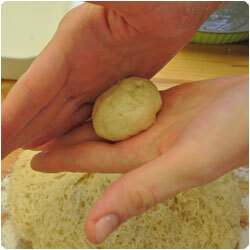 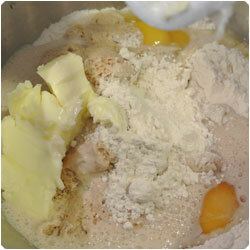 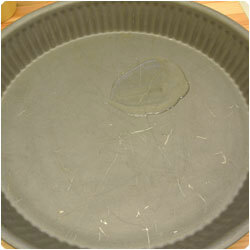 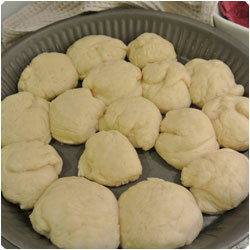 Transfer the dough to a floured work surface and roll egg-sized balls. 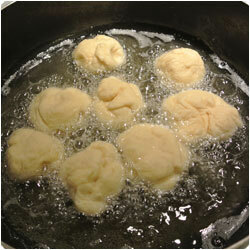 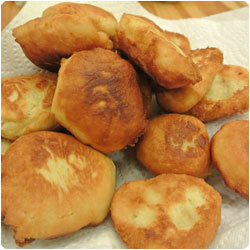 Heat oil for frying and place the balls of dough in it carefully. 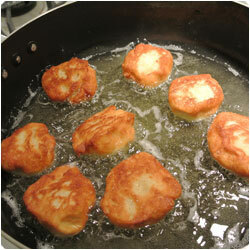 Fry for about 1-2 minutes until each side is golden. 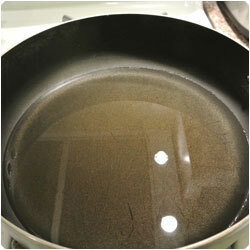 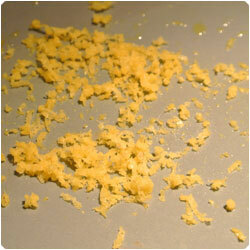 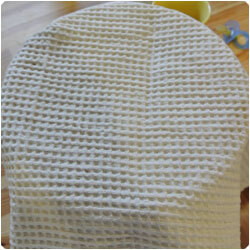 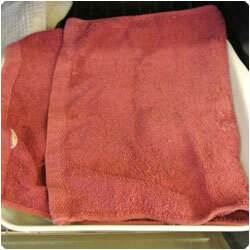 Place on a paper towel to absorbe the extra oil. 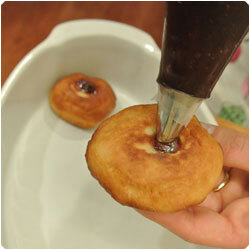 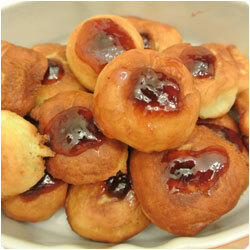 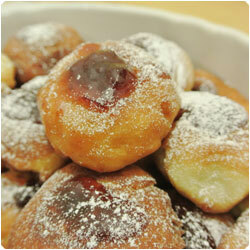 Fill half of the doughnut with jam using a docoration bag (sac a poche). 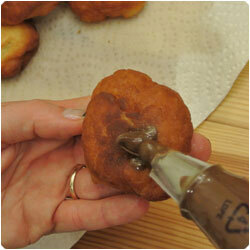 Fill the other half with Nutella using a docoration bag (sac a poche).